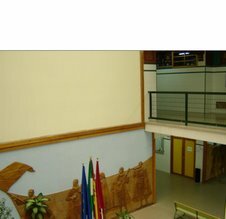 This is the record of our experience as the first bilingual group in our school. This is also a place where you can participate and give your opinions about given topics. Our bilingual experience has come to an end. Enjoy this video Cristina Olveira has prepared as a summary of what we have lived together. 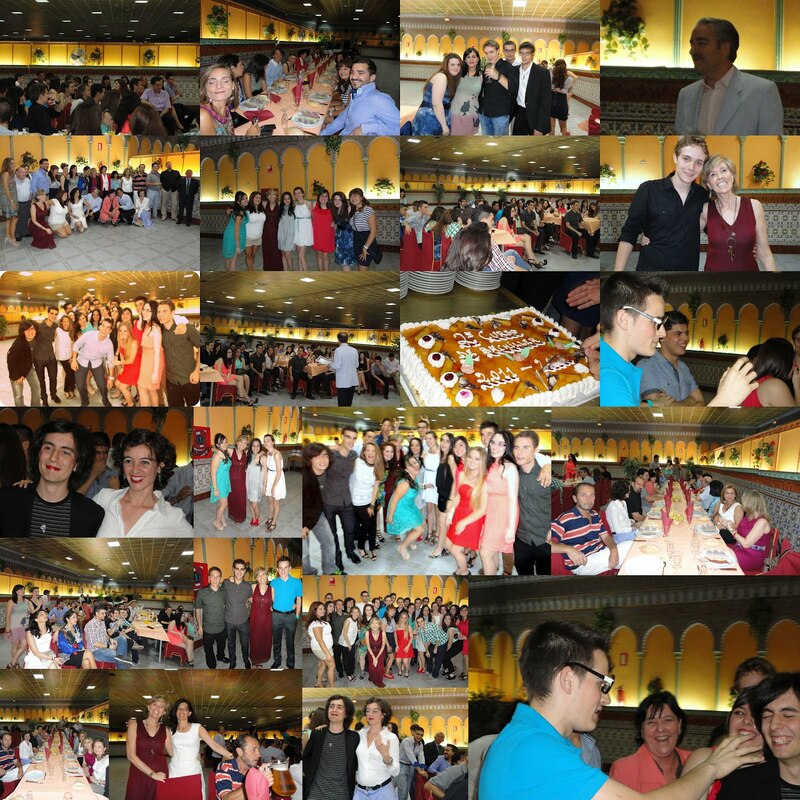 This is a collage of the dinner party of 2nd Bachillerato. Nº 1: The fishbowl: Francisco José Pérez, Maribel Pedersen and Beatriz Fernández created this incredible animated video with figures made from modelling paste and their own voices. The World's most typical person is a video made by National Geographic. Watch it, it is quite interesting. Last 23rd June, 30 students from 4th ESO at our school had the great luck of enjoying a grant to attend a course in England. They went to Peterborough with the teachers Cándida Gallardo and Lola Aceituno. They lived with host families who were very nice to them and had lessons at World School. But what they enjoyed most were the activities such as travelling to London, Cambridge, Stamford or going to the cinema, to the bowling alley, to the swimming pool or visiting the cathedral or the museum at Peterborough. The best thing is that they have had the opportunity of speaking English and improving it a little bit. Last 21st June we went for dinner to celebrate we have been together for four years. I think these four years of our bilingual adventure have been a success. 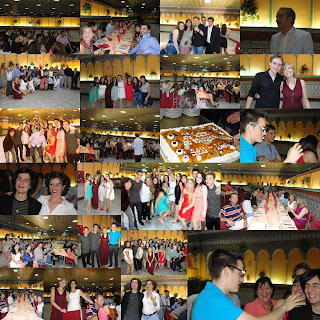 Thanks to your bilingual teachers, Esteban, Mª Jesús, Pablo, Juan José, Antonio for their enthusiam, hard work and dedication. Without them this wouldn't have been possible. Thanks to our language assistants along these years, Greg, Sarah, Hilal, Geraldine, Antonietta, Mark, Chris, Jacqui and Julia. They have been great colaborators as well as friends. Thanks to your French teacher, Diego, for his support and for having joined any suggestions and activities related to the bilingual project. Thanks to your tutor, Esther for being supportive and collaborative. And a big THANKS to you for being wonderful students, enthusiastic, friendly, hard-working (most of the times) and patient. I hope next year we will be on board on a new boat: 1st Bach Bilingual. Those of you who are leaving, please, don't forget us. We will miss you a lot. Good luck in your new life!! Julia, our amazing American language assistant has finished working with us. She has been absolutely great and we'll try to have her back next year. Julia, we have recorded this silly song for you. We hope to see you soon!!!!! !